New DJ mixers are released almost on a monthly basis. Making a decision about where to buy can be tricky, especially with such competitive value for money on all fronts. We take a look at what makes a mixer worth getting by checking out a few features that you might want to consider when shopping for an industry-standard DJ mixer. As pro audio’s love affair with hardware continues, more operators are opting to move away from GUIs and towards parametric EQ. Given that professional DJs’ careers rely on close listening and tweaking live sound, it seems to make sense to stick more EQ curve and amplitude control in their hands. 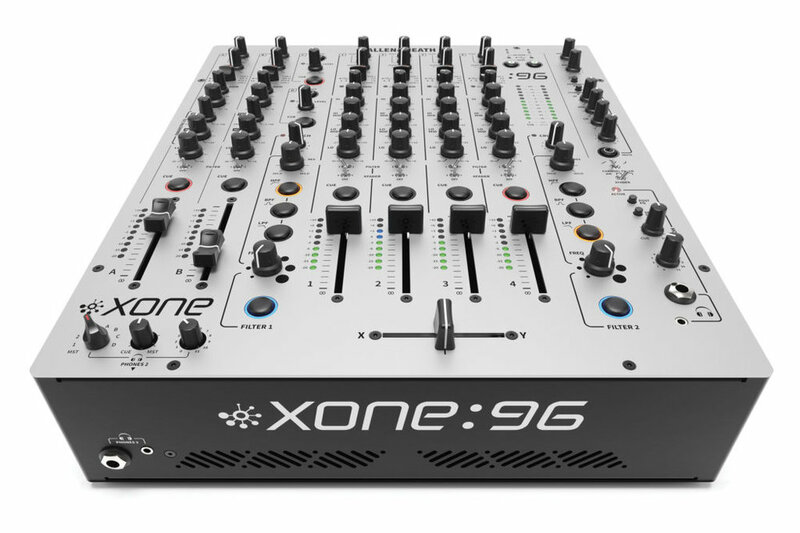 It might hike the budget, but mixers like Allen & Heath’s Xone:96 have included a sculpting EQ function alongside the standard Hi-Mid-Lo filters that will allow for unparalleled control as well as the ability to get creative with filter sweeps. Super-selective boosting and cutting? Check. We’re seeing more and more talk about ‘unlocking’ software in 2018. DJ mixer software is no exception. A must-have feature for end user ease-of-use should be the ability to use any audio interface with any bundled mixer software without needing to apply for certification through the manufacturer. This prevents the need to purchase all components from one retailer and promotes competition among brands, allowing you to get the best deal. Other than closed-door inter-profitability which locks out end users (and those studying DJing), there’s no reason this shouldn’t be the case for your equipment. They’ve been out of fashion for a while now, but kill switches were once the rage of battle mixers. The ability to instantly cut (rather than slowly turn down) the highs, mids or lows makes musical sense in genres like rap, hip hop and drum and bass especially. Like scratching, using a kill switch rhythmically and creatively is a pretty impressive art! Mixers have evolved to suit the needs of more mainstream genres, but having the ability to throw down old-school techniques over old-school sounds will probably make a comeback at some point. But is it worth the surface space? We think so, especially for the abrupt tonal changes in newer genres like minimal tech. Manufacturing a good DJ mixer is clearly a not something you achieve over the course of a weekend. The most important factor to consider is the needs of the DJ community and balance out cost and functionality to create good value. Start learning DJ tips and tricks today and join the growing and evolving league of global music selectors. DJ Courses Online transforms aspiring DJs and producers into professional talent through online education.